Designed in the UK, the concept behind the Skeletal hydraulic braking system is a braking system which is truly versatile and can be adjusted to fit any hand size and braking requirements. Extremely powerful performance is complimented by its individual styling. 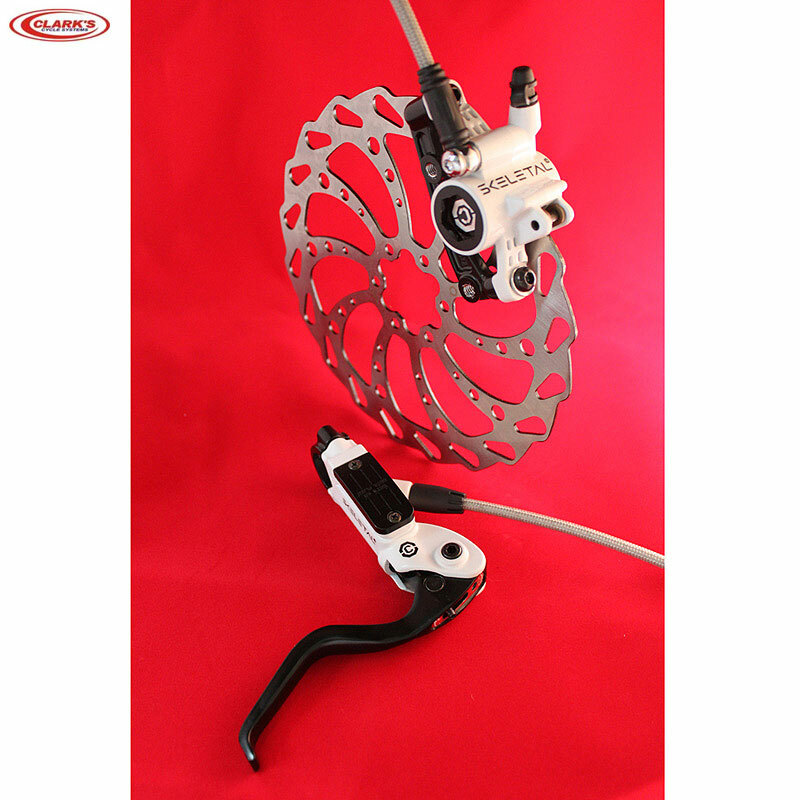 Weighing in at 340 grams the Skeletal brake has all the key features expected in a quality braking system. All Clarks' brakes are supported by comprehensive Spares tray which can be used for upgrading as well as replacing that snapped lever after a tumble.